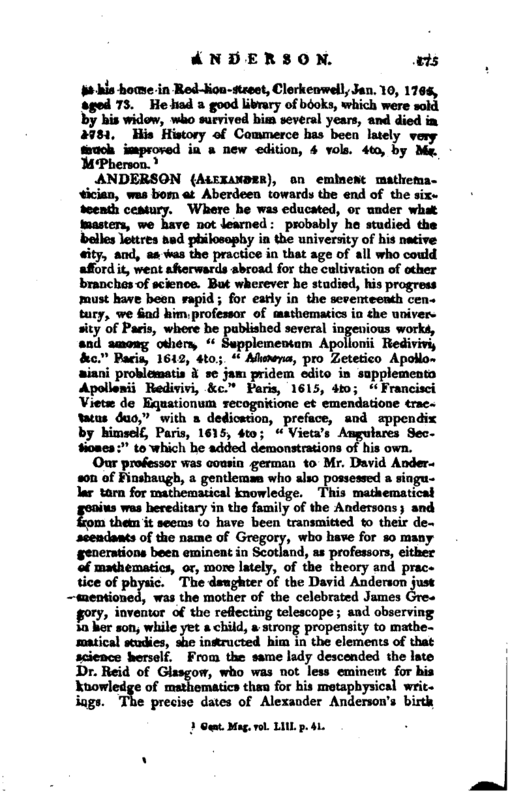 , an eminent mathematician, was born at Aberdeen towards the end of the sixteenth century. 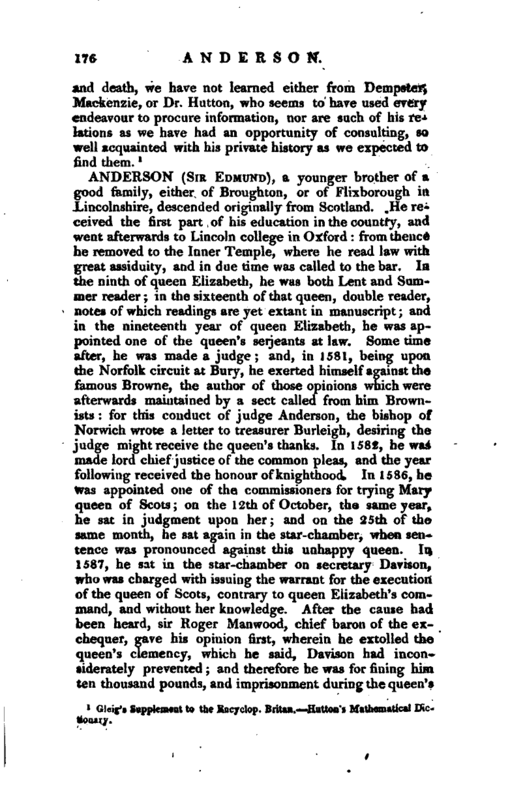 Where he was educated, or under what masters, we have not learned: probably he studied the belles lettres and philosophy in the university of his native city, and, as was the practice in that age of all who could afford it, went afterwards abroad for the cultivation of other branches of science. But wherever he studied, his progress must have been rapid; for early in the seventeenth century, we find him professor of mathematics in the university of Paris, where he published several ingenious works, and among others, “Supplementum Apollonii Redivivi, &c.” Paris, 1612, 4to; “Afliotoyus, pro Zetetico Apolloniani problematis a se jam priclem edilo in supplemento Apollenii Redivivi, &c.” Paris, 1615, 4to; “Francisci Vietae de Equationum recognitione et emendatione tractatus duo,” with a dedication, preface, and appendix by himself, Paris, 1615, 4to; “Vieta’s Angulares Sectiones:” to which he added demonstrations of his own. Supplement to the Eucyclop. Britan. —Hutton’s Mathematical Dictionary.